A river adventure could be something you’ve been looking forward to all year, something you partake in every weekend, or something you are dreading. 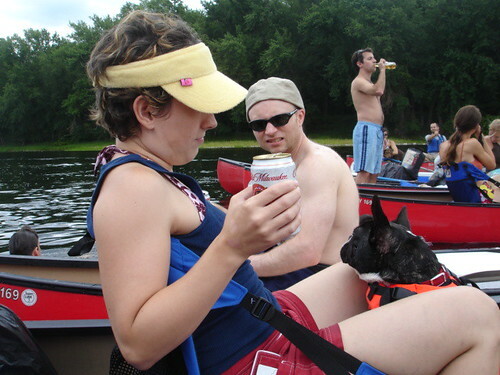 Each person has a different take on how they view their time on the river – some of us live for it while others merely view it as a time to party (I’m talking about you frat guy). A river offers a dozen different ways for adventure and fun. There’s kayaking, canoeing, floating, rafting, etc. I got this idea from a the Hiking Boots blog. 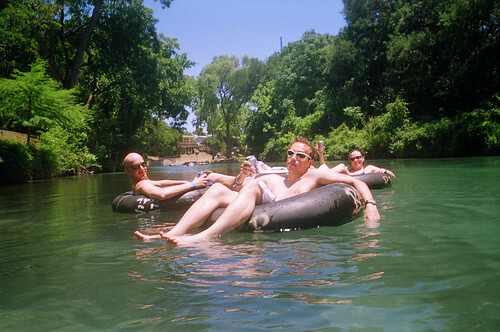 In today’s post we’re going to take a look at 10 Types of People You Meet on The River. 1. The Cute Couple – These two love birds chose a day on the river as a way of getting out of their at home routine. Spending time with your spouse in nature is a great way to rekindle the relationship – but just because you don’t think anywhere is watching it doesn’t mean you’re alone (think mountain men). 2. 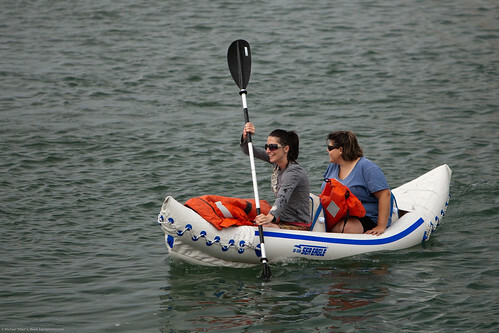 The Lazy – Spending a day paddling is not their idea of fun. It’s hot, it’s hard work and the river isn’t flowing fast enough for these lazy paddlers. 3. The Surfer – Surfs up bro! These kayakers take their boats to the beach or to hot spots on the river where high flow builds up a constant surfable wave. Don’t cut these paddlers off on you’re way downstream. 4. 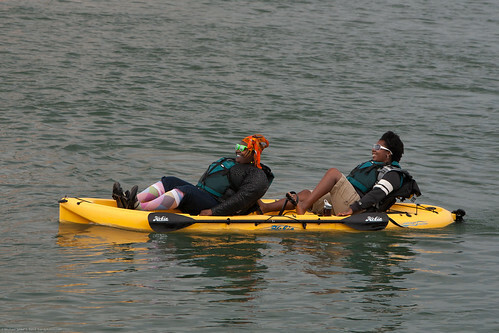 Newbs – These kayakers just don’t know what they’re doing. They can’t track and they don’t paddle together. You’ll often see newbs zigzaging their way across the river and bumping into other boats. 5. The Competitive – There’s always an ultra competitive person (or two) in your group. They always have to be first and be the fastest on all runs. They are more worried about competing with other paddlers that they miss out on the fun. 6. The Drunk – Ever been canoeing and passed by a boat loaded with 2 coolers and a couple cases of Natty Light? That’s the drunk guy on the river. 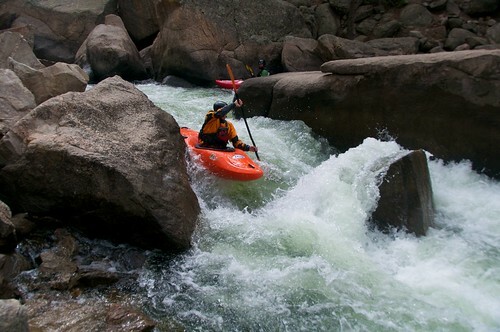 You won’t find him in the whitewater… that requires too much work and mental thought. 7. 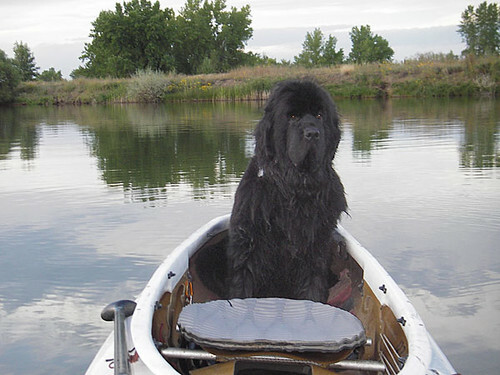 The Pet Lovers – These paddlers never go anwhere without man’s best friend. The dog is usually sitting in the front enjoying the ride… occassionally barking at passing boats and swimming to cool off. 8. The Tourists – Mom and Dad paid $8,000 for a family trip to Wyoming – you bet a whitewater rafting adventure is on the list of activities. You can spot tourists a mile away. They usually aren’t wearing the right gear, have blobs of sunscreen on their face and are the first to go swimming on a Class I. 9. The Extremists – No drop to too high, no rapid is too rough. 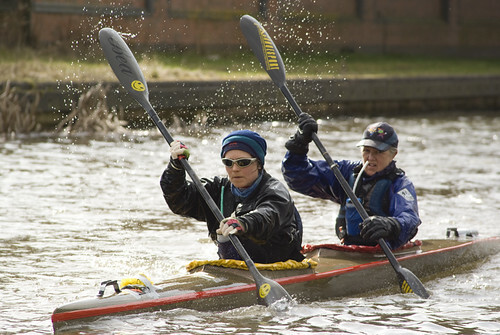 These paddlers taken all runs to the extreme… never dodging a thing and only paddle at 110%. These paddlers know the river inside and out. 10. Loud College Kids – It’s spring break and the fraternity brothers decided to invade your river for 3 days. They are loud, constantly drinking, and may or may not have a boombox.